Intel has officially announced its Intel Core 13 and Core i5 processors – among 10 new chipsets, 25 new processors, 802.11n Wi-Fi and Wimax products with new Intel My WiFi features and introduced its 32 nanometre offerings. 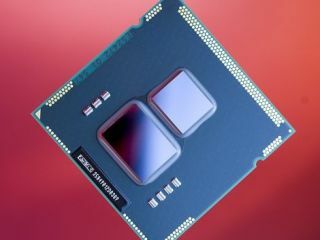 Intel's announcements hardly come as a shock, but are important with the introduction of new Intel Core i7, i5 and i3 chips coinciding with the arrival of Intel's groundbreaking new 32 nm manufacturing process. "Intel is unveiling several platform products, including more than 25 processors, wireless adapters and chipsets, including new Intel Core i7, i5 and i3 processors, Intel 5 Series Chipsets, and Intel Centrino Wi-Fi and WiMAX adapters that include new Intel My WiFi features," says Intel's release. "More than 400 laptop and desktop PC platform designs are expected from computer makers based on these products, with another 200 expected for embedded devices." "These smart processors adapt to an individual's needs, automatically providing a 'boost' of performance for everyday applications. "They become energy efficient to the point of shutting down processing cores or reducing power consumption to provide performance when people need it, and energy efficient when they don't." The Intel Centrino brand now represents Intel's wireless products with three new Intel Centrino Wireless adapters feature advanced 802.11n multi-stream capabilities and dual-band support for WiFi, offering users 'up to 8 times greater speed, consistent coverage and reliable connectivity while consuming minimal power'. All the adapters support Intel My WiFi Technology, which allows users to turn their laptop into a hotspot and directly connect wireless devices to their laptop.